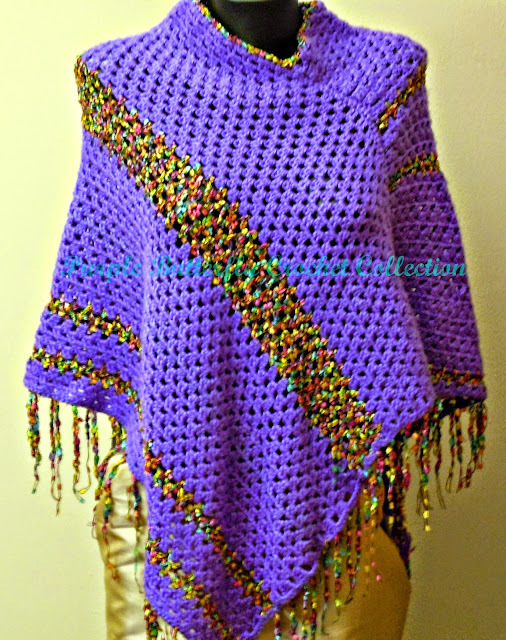 Although I am still finishing up some summer crocheting ‬ I am already thinking about new ponchos. I love them for the Fall, comfortable,light yet warm and stylish. Crocheted mesh stitch with yarn and ribbon yarn. Super soft crocheted poncho with ribbon yarn accent. Fringe made of ribbon yarn.